Being a leader consists of many duties. Good leaders make the tough decisions, develop relationships, and help everyone work to their full potential. However, it is also the duty of a leader to shape employees into future leaders. Leaders in technology fields have a tougher task, as they need to shape geeks into leaders. This is not an easy process. Here are a few tips on how leaders should be leading their employees to becoming future leaders. Click here for more relative information. The first thing one should do is get to know their employees. It is important to build relationships as a leader and show everyone that you care about all of them. In doing this, you should ask each person where they see themselves in the future. Where do they see themselves a few years down the road? Also, ask them what they think of management and leadership roles. Do they see themselves in one of these roles in the future? Doing this gives you a good start in getting to know who is on track and who you need to focus your mentoring upon. Some people are natural born leaders who are ready for the spotlight, others, like me, are along for the ride and just do not know what their future plans are. When mentoring someone to become a leader, it is also important to ease into the process. You should start by finding opportunities for your trainee to practice. Also, do not refer to your trainee as an “official trainee.” This can lead to added pressure and it makes them feel like they are being pushed into the role. This can damage the relationship between the two of you and potentially scare your geek trainee away. To get he or she experienced, grant them with a role like task manager for the next project. This gives them a sense of management without the pressure of full on leader. These opportunities also allow for the trainee to make up his or her mind about whether or not they want to be leaders, so it is important to let them decline. It is better sooner than later, trust me. I have been thrown into things, not necessarily all work related, that have lead to me wanting out. However, I could not opt out without fear of humiliation or regret. As an experienced leader, you yourself should have a good sense of time management and how to deal with day-to-day life effectively. Teach this to your future leaders. This skill is heavily demanded in technical fields, so it is very necessary for geeks to learn. It can be hard to juggle everything like co-workers, projects, and life in general. As the mentor, you should assign them extra little things like reading books and articles. Have them read a novel and report back to you. This can help them develop time management skills by finding time to read whilst working hard on the job. Do not overdo this though. If you give he or she too many side projects, they could find it overwhelming and drive them away. Personally, I sometimes struggle with time management, so I may implement this in my own life to better prepare myself for my own future. Conclusively, it is easy to see that leaders and managers have a lot on their plate. They enforce, they supervise, they compromise, and they build relations with employees and coworkers. However, one of the most important things they do is mentor. 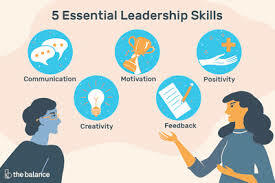 Hopefully, by following the tips above, you can positively enhance your leadership skills and pass your knowledge on to the future leaders and geek leaders of the generation.